Blackview A20 has been launched as the the first smartphone in its price range with Full View display. The company has finally made it easy for those on a tight budget to experience the Full View hype. The budget friendly smartphone dishes out an 18:9 aspect ratio screen offering anaxinh visuals. Internally, it packs low-class specs and was designed specifically for those on a budget. Without further ado, meet the Blackview A20. 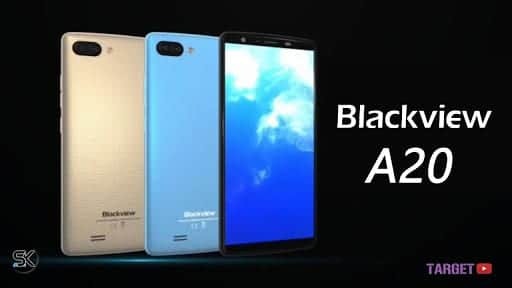 What is Blackview A20 Price and Availability Status? The new A20 smartphone has a Plastic back cover that’s removable. Nonetheless, the device has a beautiful body than most budget phones, housing dual vertical cameras at the top left corner. Sitting beside the dual shooters is a LED flash for night photographs. There’s no fingerprint scanner on the device, which is quite understandable going with its price tag. Measures 9.6mm in thickness and weighs just 170g, making it easy to hold and operate. It’s available in three beautiful colors, Gold, Black and Blue. Enjoy the huge 5.5-inch screen on this baby, we don’t typically see a smartphone in its price range with no navigation buttons. The only visible feature from the front view, is the selfie camera and speaker grille at the top bezel. The 5.5-inch IPS LCD capacitive touchscreen is always ready to dish out clear visuals. Moving further, it has a resolution of 480 x 960 pixels in resolution and 195 pixel per inch density for clear visuals. The screen stretches up to 75% screen to body ratio, while a AGC Glass protects it all. Under the hood is the MediaTek MT6580M chip with Quad-core processor and 32-bit CPU architecture. The 4-cores of processor runs at a fast speed of 1.3GHz with 28nm process technology. In the graphics department, the ARM Mali-400 MP2 graphics processor comes with 2-Cores and clocks at 416 MHz. Disappointingly, just 512MB RAM space is available here for multitasking, with a memory speed of 533MHz. Store up files and apps in the 8GB storage space that is available as well, you can always upgrade further up to 32GB using a memory card. 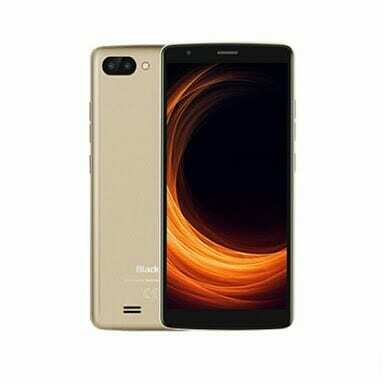 Blackview A20 runs on Android 8.0 Oreo GO Edition out of the box with modified user interface. The 5MP (f/2.0 aperture) + 0.3MP rear camera captures 2K resolution images with ease. 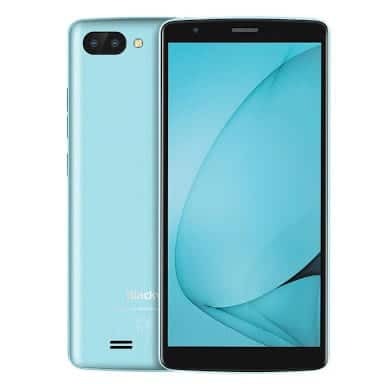 The cameras has a LED flash relaxing by the side and other features like exposure compensation, Face detection, Geotagging, HDR, ISO settings, Optical Stabilization (OIS), Optical zoom etc. The A20 can capture photographs with 2592 x 1944 pixels in dimension. While the 2MP selfie camera has f/2.8 aperture for cute selfies. Powering the Blackview A20 is a 3000mAh removable Li-Ion battery with no fast charging technology. Even without the fast charging feature, it shouldn’t take up to 2.5 hours to fully charge up the battery from 0% to 100%. The Blackview A20 is available on Shopping stores from $49 (N15,000) to $79 (N25,000). 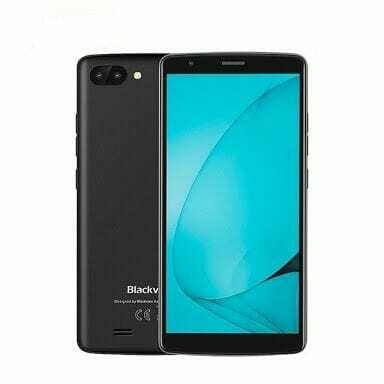 Click on the links above to view the latest Blackview A20 price & availability on Shopping stores.